Elysia chlorotica, common name the eastern emerald elysia, is a small-to-medium-sized species of green sea slug, a marine opisthobranch gastropod mollusc. This sea slug superficially resembles a nudibranch, yet it does not belong to that clade of gastropods. Instead it is a member of the clade Sacoglossa, the sap-sucking sea slugs. Some members of this group use chloroplasts from the algae they eat; a phenomenon known as kleptoplasty. 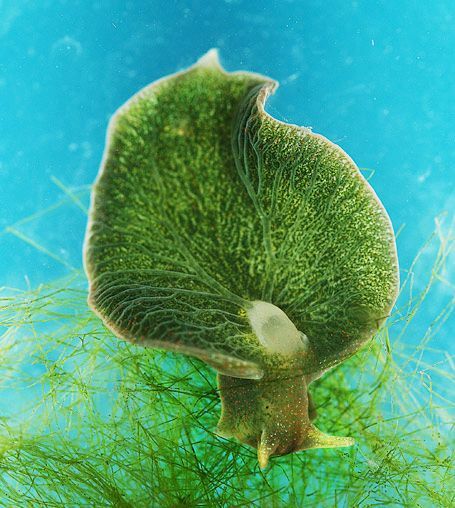 Elysia chlorotica is one of the “solar-powered sea slugs”, utilizing solar energy via chloroplasts from its algal food. The incorporation of chloroplasts within the cells of Elysia chlorotica allows the slug to capture energy directly from light, as most plants do, through the process known as photosynthesis. It’s funny watching dogs do human things. It’s funny to watch them drive cars. It’s funny to watch them sit in chairs. But, seriously, new research shows that dogs actually are just like us. At least they are when it comes to processing voices and emotion—and, now, we’ve got the brain scans to prove it.